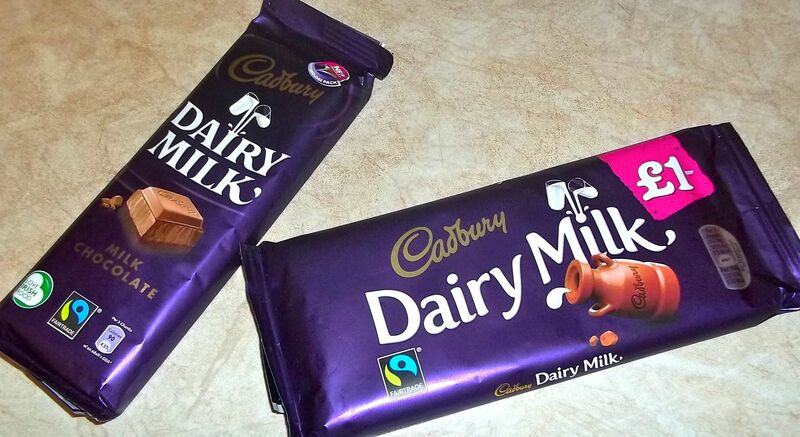 Some people say that Cadbury’s Dairy Milk Chocolate tastes different on opposite sides of the border between Northern Ireland and The Republic of Ireland. So, we happily put that claim to the test. My family are big chocolate fans. When we return from a trip to Ireland, we bring quite a lot of chocolate back with us (Roses and various Cadbury bars are the favorites). So, when a friend mentioned stocking up on Dairy Milk in Northern Ireland because it tasted better, I had to test it out. On a trip to the Giant’s Causeway we purchased a “Northern” Dairy Milk, and later bought a “Southern” one at a Dunnes Stores in Co. Meath. Then, we attempted a quasi-scientific (aka, totally unscientific) test to establish if they taste the same or not. First we passed pieces of the one bar around. Then we passed the other. Only one family member knew which was which, and they kept the information to themselves. Everyone consistently remarked that the first bar was noticeably creamy and sweet, and the other was less sweet, almost as if it was higher in chocolate content (i.e. darker). Our youngest daughter wouldn’t even finish the second piece, she considered it “dark chocolate” — and therefore evil! The bar purchased in Northern Ireland was judged the sweeter (“smoother” and “creamier” were other comments), but when we compared ingredients (which were exactly the same) and nutritional information, we saw that the Irish chocolate had slightly more fat, sugar and calories than the other. This felt odd, as we all felt the Northern-Irish bar tasted sweeter, but it actually had slightly less sugar and fat. I grew up with the less-sweet Dairy Milk, so it tasted delicious to me, but my children, who aren’t fans of dark chocolate by any means, preferred the other. 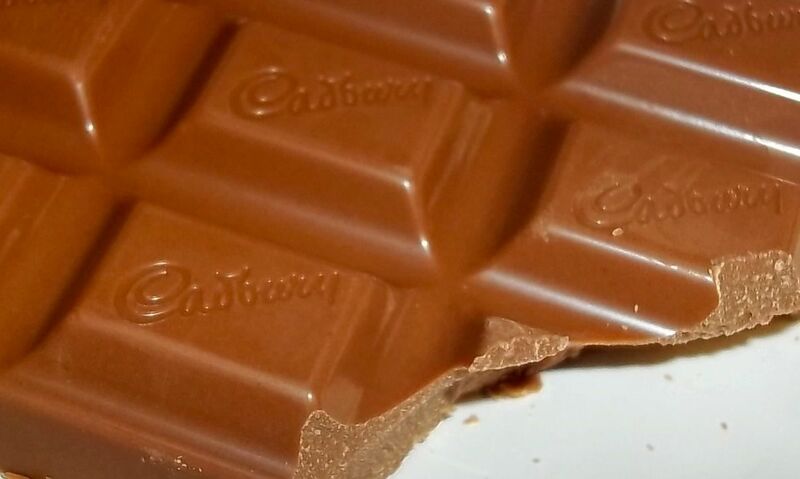 Whatever the reason — are they made in different factories or in different countries?– it’s definitely not just an urban legend that Dairy Milk tastes different on opposite sides of the border. But, don’t take my word for it, do your own taste test when you visit. If I hadn’t been part of the taste test and actually read the labels for myself I wouldn’t believe this… but its true! However, I think to be scientifically accurate, we’d need to do that test about 3-5 times to eliminate ‘outliers’ so I’d like to request that you bring home 10 more bars in the interest of science.